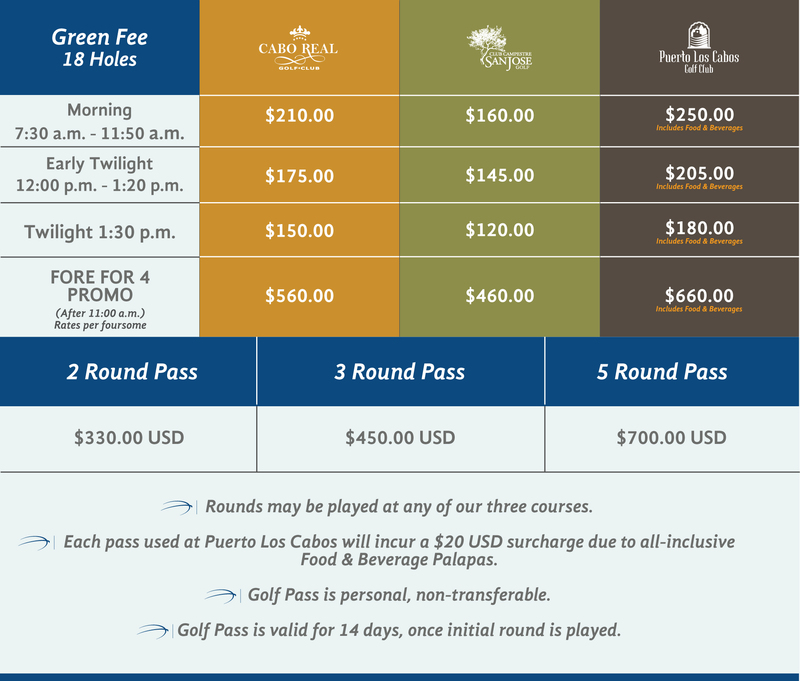 All rates and Promos are valid up to 12 golfers. Group service fee will apply to all groups larger than 12. • Cancelation Policy: Our cancellation policy is 24 hours in advance. If you need to change or reduce the number of players in your group, please do so at least 24 hours prior to your tee time. Failure to do so will result in a full charge. • Green Fee includes: 18 holes, one shared golf cart per round, use of driving range prior to round and bottled water. • Our Pace of Play is 4 hours, 30 minutes. By booking this reservation you are in agreement and acknowledgement of our pace of play requirements. • Dress Code (Golfers and Riders): Appropriate golf attire is required. Collared golf shirts and Bermuda / golf style shorts are allowed. Please note that denim, swimwear, cut-offs, t-shirts, halter tops, tank tops, and flip flops are not permitted.